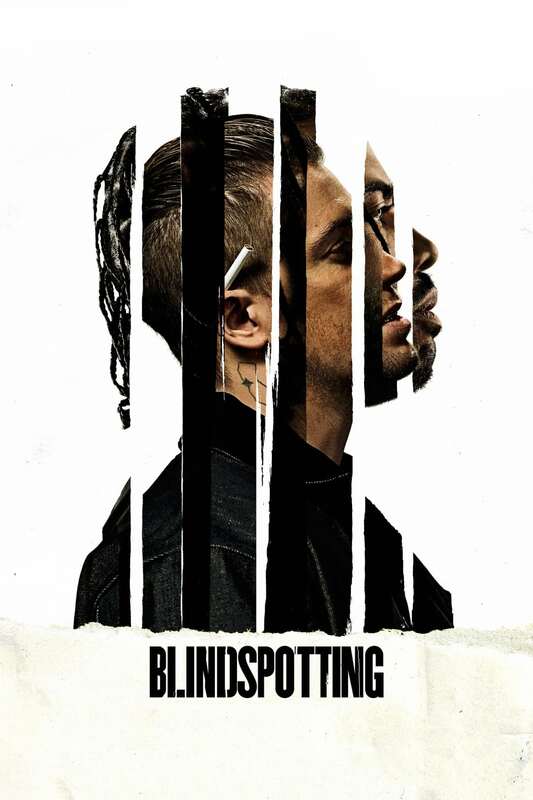 Blindspotting (2018) is a triumph of a film that mixes insightful social commentary with a buddy comedy and is also not afraid to dip into more serious material from time to time. The narrative is carried by the excellent performances and palpable chemistry of the two leads Daveed Diggs and Rafael Casal. The story is centered around Collin (Daveed Digs) a convicted felon that is serving out the last few days of his probation in a halfway house. He is best friends with Miles (Rafael Casal), a hot-tempered thug who has immersed himself in the street lifestyle. Collin is trying to get his life back on track, but this is put into jeopardy by Miles' constant reckless actions and temperament. Now Collin has to choose between living his life on the straight and narrow and his friendship with his volatile companion. This film revolves around the idea of perception and how the way one looks and chooses to present themselves colors the way people think about them. The example used in the film is Rubin's Vase, a reversible figure optical illusion. Depending on how you look at the image, it either looks like two faces in profile looking at each other or a vase. It takes conscious effort from the individual to change their perception to see both images. Collin, a black man with dreads, is seen as a potential criminal, while Miles, who is white, is seen as a upstanding person, even though he is the more aggressive and violent of the two men. While it's never outright said, the implication is that Miles has privileges afforded to him because of his skin color that Collin doesn't have access to. 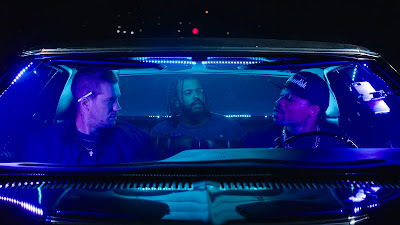 While Blindspotting deals with some heavy topics, for the most part it's more of a lighthearted film. The contrast between the comedic and serious aspects is balanced perfectly, and the fact that the two leads are so relatable and charismatic makes the audience empathize with them easier. All of the dialogue is extremely well-written and every once in awhile exposition is relayed with rapping instead of regular conversation. This could have felt contrived in a lesser film, but it's implemented in a way that feels natural and electrifying. One could make a comparison to the Greek chorus as the rapping sequences serve the same function of highlighting what the main character is feeling emotionally. The editing is fantastic and the cinematography highlights all the different sides of Oakland and the dichotomy between the urban areas and the creeping gentrification. Not only does Blindspotting highlight systemic racism, it also addresses police brutality with a side plot involving Collin witnessing a cop gun down a black man in the streets. That act of violence is simmering under the surface of the entire film, popping up every so often to rear its ugly face. It's handled delicately until the third act when it is shoved into the audience's face forcing them to acknowledge the horror. 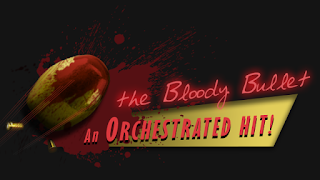 All of these themes are juggled around effortlessly in the story and it makes for a very compelling tale. 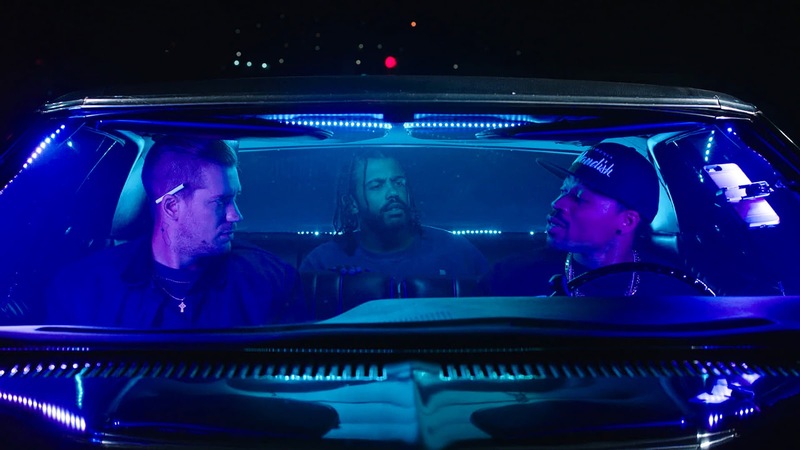 Blindspotting asks the question: "Can a person really succeed if the chips are stacked against them?" The answer might be vague, but that doesn't mean that people should stop trying.